Well I am finally back in the saddle and let me tell you, it hurts! 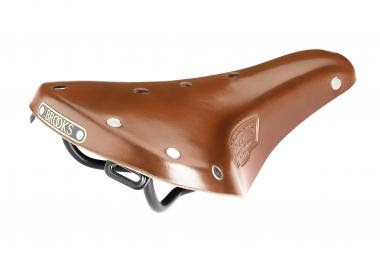 I don't mean the actual bike seat or saddle as known in the Cycling vernacular. I just mean it hurts. My whole body . . . but especially my right lung which I think no longer exists. I must apologize for being out of "bloget" for such a long time but such is life. Just to touch on where I've been and what I've been doing; I had HUGE tax deadlines at my office in September and October and worked most days, including week-ends until 11 pm or after. Let me tell you, my beautiful two-wheeled silver steed was sorely missed. Additionally, I have been dealing with a serious family issue involving my youngest sibling and my heart has been breaking for her and for my mom and my other much loved siblings during this incredibly tough time. I would love to talk about what is happening with her as I know there are people out there that would be able to offer much needed advice or would be helped by knowing her story but this is her journey and even if I tried to tell it, it belongs on a blog dedicated to that topic. On top of all that, I have been sick for 3 weeks with some crazy alien flue bug which in the aftermath, feels like I am left with only one lung and that one feels like it is threatening to surrender. So now you know where I've been and I'm sure your day is much better now that you know that Commuter Girl may have been down, but she's definitely not out. I feel as though I have missed 3 or 4 weeks of my life that I will never get back. The days here have been so beautiful. Some days are grey and misty in the morning, breathtaking at mid-day, and dark as the kohl black eyeliner of the self-identity-seeking young junior high girls I cruise past by the time I go home at 6:30-(ish). Speaking of "ish", those of you that actually know me, know that the extremely important time marking parameter know as "ish" can encompass a time period of a few minutes to several hours. I have seriously lamented over this flaw my entire life, and it was driven home the other day when S1 and S2 came back from a school meeting where they had taken personality tests that labeled their personality type in one of four colors and they were yelling, "Mom you are so an "Orange". I did not even have to bother taking the test as after they read to me the personality traits of the Orange I realized, why fight it? I am definitly an "Orange" which explains a lot and that also means that I am not a freak and better yet, that there are a lot more people out there exactly like me! Believe it or not, that person in your life that seems to be selfish, uncaring and continuously late is in fact a huge asset when it comes to out-of-the-box problem solving and getting things done. We are an action and task oriented breed so all you type A people that I have offended my entire life, I apologize. I was born this way and someone exactly like me will save your a_ _ in a time of crises. What does this have to do with bicycling or commuting you say? Absolutely nothing. That is the beauty of being an Orange. There are no rules in the life of a Commuter Girl. We strive daily to make a positive impact, whether it be on two wheels, four wheels or two feet. The point is to never give up and why not ride your bike? You will feel better and that in itself is a gift to yourself, your family and your world.